Gargoyle is a publisher that provides avenues for creatives to present types of art that you simply can’t find in any other publication. We aim to provide creative freedom to our contributors, believing wholeheartedly in letting artists achieve their vision. 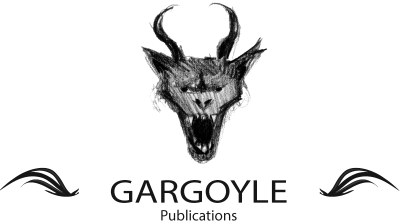 Gargoyle is looking for creators who want to publish works that are as thoughtful as they are incendiary. We want writers unafraid of telling stories not easily heard. We want artists to create images not soon to be forgotten. We do not shy away from the shadows, instead shining a light onto the darker and more absurd truths of the modern world. By pushing ourselves as creators, generating and presenting revolutionary ideas, we will challenge people’s perceptions of world around them. Gargoyle’s imperative is to explore the depths beneath the surface of our subject matter to create accessible media that conveys a breadth of emotion, knowledge and individual experiences. Gargoyle wants to provoke humour and intelligent discussion rather than dopamine and simple division. Gargoyle is a place for stories & ideas that exercise our right to freedom of speech and our ability to think for ourselves.